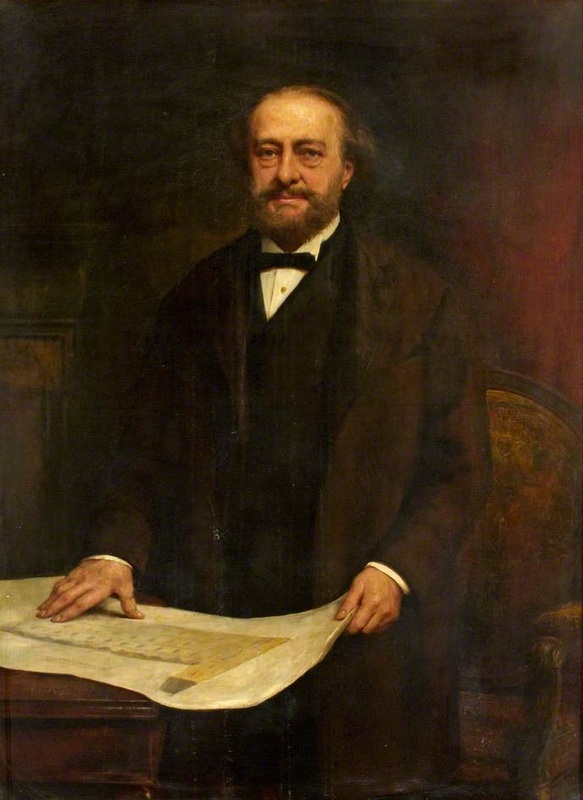 Sir Edwin Saunders (1814-1901) was an important figure in the history of dentistry. In 1856 he and others petitioned the Royal College of Surgeons of England to grant a diploma in dental surgery(2). The Odontological Society was founded in his house in 1857 with Saunders as its first Treasurer, and later President. He was created a knight bachelor in 1883, the first dentist to receive a knighthood. Joseph Clover regularly attended meetings of the Odontological Society and worked with many of its members. He anaesthetised Florence Nightingale in 1871 while Edwin Saunders extracted some teeth. 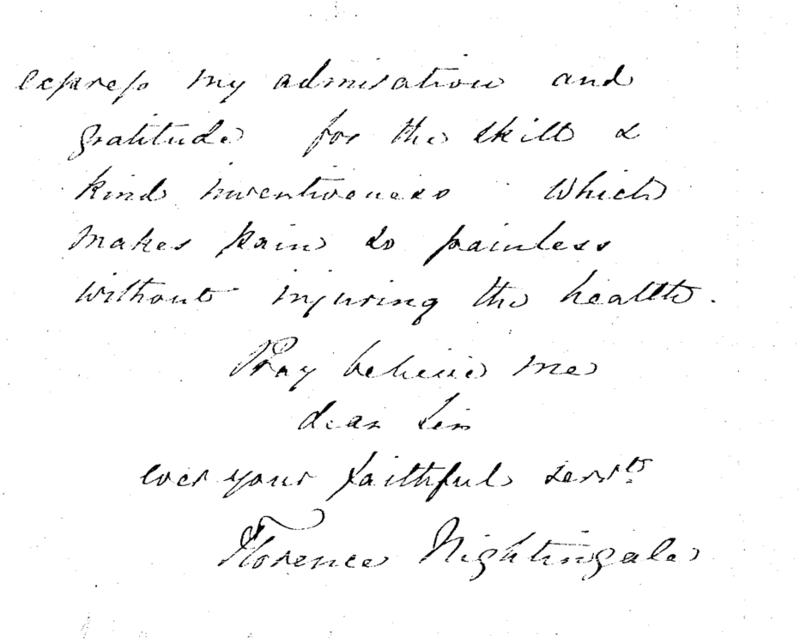 For this anaesthetic he charged two guineas and received a grateful letter with the payment (see below). 1. Nightingale F. Sir Edwin Saunders1. 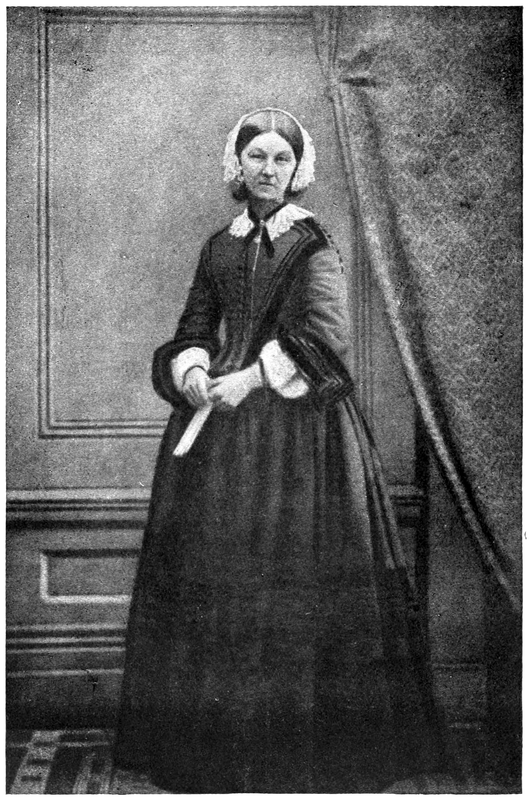 A Calendar of the Letters of Florence Nightingale by Sue Goldie 1867. 2. Plarr's Lives of the Fellows of the Royal College of Surgeons of England. Power D, Spencer WG, Gask GE, editors. Bristol: John Wright & Sons Ltd.; 1930. You must have been surprised not to hear from me, if you were good enough to think about me at all. 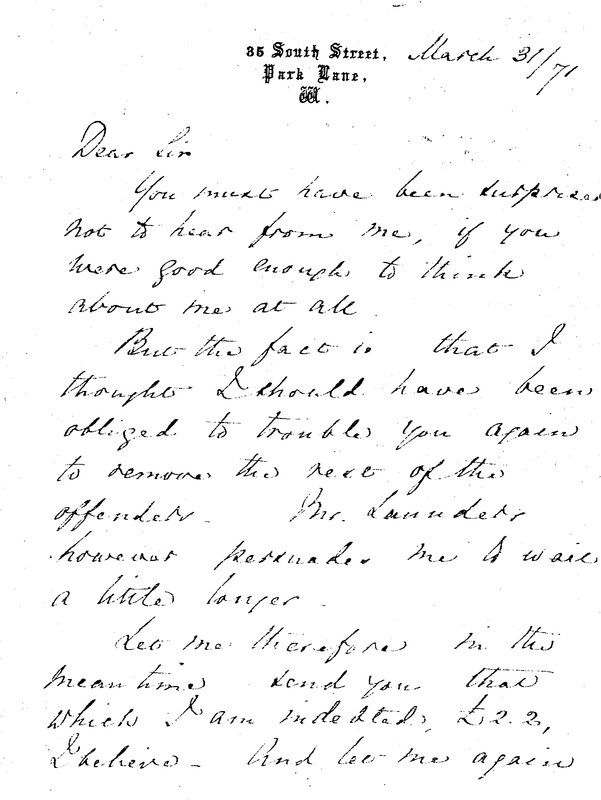 But the fact is that I thought I should have been obliged to trouble you again to remove the rest of the offenders. Mr Saunders however persuades me to wait a little longer. Let me therefore in the meantime send you that which I am indebted £2.2, I believe - And let me again express my admiration and gratitude for the skill and kind inventiveness which makes pain to painless without injuring the health.